staging and platforms for schools, theatres, orchestras and venues. Setting new standards in staging! Strong enough to hold a grand piano, yet light enough to be handled by anyone - even children. Erecting a stage is no longer a chore - it's great fun! Comprised of very few components, the pieces simply slot together without the need for tools or fixings. Scena Staging is extremely flexible and can be used to create tiered, flat or combination stages to meet your exact requirements. 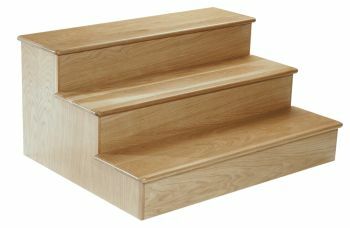 The platforms can be supplied with one side lacquered (non-slip) birch and the reverse side carpeted for quieter uses, ie choral or music concerts. Safety rails, valance, edge trims and wood fascias are all optional extras to complete the stage. 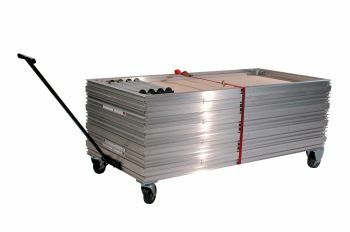 Scena Staging meets all current regulations and has been tested to the very highest loading standards. How is it on price? 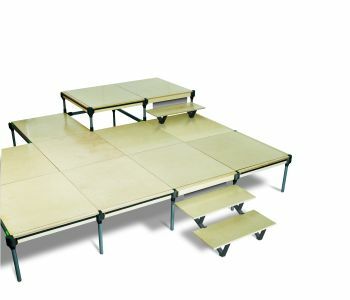 A stage measuring 6m x 2.7m x 45cm high for example is priced at just £3260.00 + delivery & VAT (includes all platforms, legs, two sets of steps & storage platform castors). Call us now to arrange a demonstration, request a quotation or place an order! 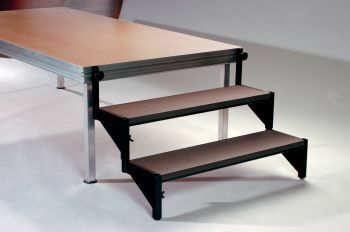 A combination of frames, steps and different height legs will build any configuration needed. 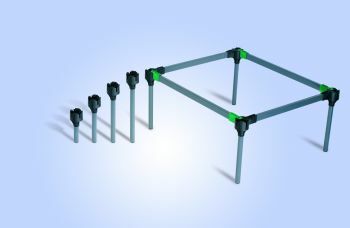 Create your first frame (above) and simply extend your stage in any direction by adding rails and legs. Platform decks are simply placed into their position in the frames. 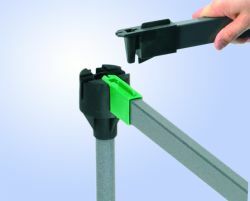 Legs and rails simply slot together to create frames in any direction. 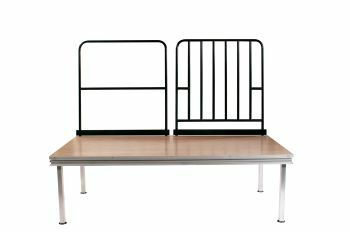 Create your own: Choral Risers, Flat Stage, Catwalks, Tiered Audience Seating using a combination of easy to use platforms and removeable leg sets. Solid, Safe & Secure.